Things calmed down a little around here this week. 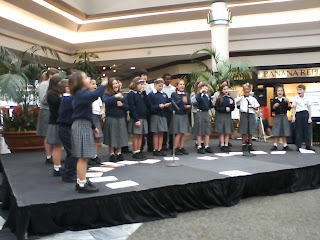 My youngest sang at the mall this morning with her school choir. The archdiocesan schools are celebrating the arts this week. My older daughter is going to perform in a One-Act Night at school this weekend which will probably be my last chance to play stage mom for her (she's not really a theater kid, she just does easy stuff like this when the other kids rope her in). 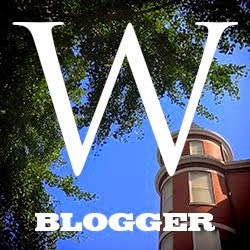 Blogging wise, I reviewed a couple of romance novels. I also reviewed an Easter book for young kids and a book about helping your dog live longer. I suppose I could say it was in honor of Pope Francis, but that wouldn't be true. I wish each of you a blessed Holy Week, and we will be here next week to celebrate the resurrection. Thanks for hosting, RAnn! I hope everyone has a blessed Holy Week. This week, I have the latest addition to my Rosary Art Collection an old post about St. Joseph, two articles about Planned Parenthood's disgusting actions, this week's fanfics, and, of course, my weekly reading list. A blessed Holy Week to you, too, RAnn and all who visit here! 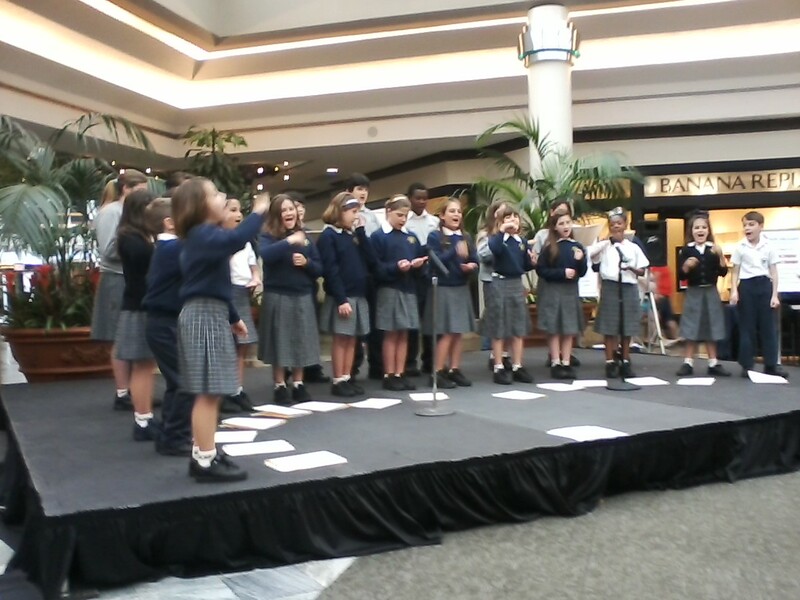 How fun for your daughter being able to sing at the mall! As always, thanks for hosting this link up so faithfully! This week I have my weekly goals, A Little Inspiration, and a book review of Dr. Ray Guarendi's latest book "Winning the Discipline Debates." Thank you once again, RAnn, and a blessed Holy Week to all Carnivallers. I look forward to celebrating the joy of Easter with you. Kathleen, we have snow here too! Winter has been SOOOO long this year! Hi RAnn, I'm sure your daughter's class made quite an impression singing in the mall! I'm thinking they were singing songs about Jesus... in the public mall! How fabulous! !